Children’s organizations, such as the Boy Scouts, are now pushing for laws in New York City that would allow them better access to criminal background information for potential staffers and employees. Sen. Charles Schumer is the one proposing the legislation, which would allow such organizations to access federal criminal and other databases to fully evaluate the risk of a potential new hire. As justification for the proposal, Schumer has cited multiple instances in which potentially dangerous criminals have found their way into these organizations. For the safety of both participants and other staff, he says that these organizations should have full access to any information they need in order to make the most informed decisions possible. 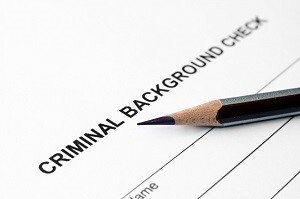 As it stands, organizations can access criminal records, but they are only partial. The data they have access to is limited to state records, so anyone who has moved since committing a crime will appear to have a clean record. Since it is not entirely uncommon for a felon to move to a new community to avoid stigmatization, instances in which these records limitations might be a problem, he says, are more common than people might think. The bill is called The Child Protection Improvements and Electronic Life and Safety Security Systems Act, which is quite a mouthful, but encompasses its entanglement with not only safety but also the electronic record-keeping strategies we use today. Bills like this one are potentially controversial because often times any red flags in a record is enough for an applicant to be denied, even if their specific offense doesn’t pose a credible threat to anyone they would be working with. In fact, the trend right now is moving away from these types of bills, and many states are doing away with the ability for employers to ask, at least in the pre-hiring phase, if an applicant has been convicted of a crime. Opponents may argue that reformed criminals often move to get away from the past, and laws like this will simply let those behaviors haunt them for years after they’ve already served out their debt to society. It is no secret that convicted felons with no offenses for years still have trouble getting jobs they would otherwise be qualified for. In some cases, volunteering in various organizations, like the types of scouting, summer camp, and kids sport league associations this legislation is aimed at is a way for reforming or reformed criminals to give back to the community and use their time in a positive manner. That said, Schumer seems confident that the legislation will pass; not many legislators will likely want to be on record voting against the bill aimed at primarily protecting children. He hopes that the bill will help these organizations obtain the most relevant and up-to-date (not to mention complete) data available. As the bill will more likely affect volunteer rather than paid positions, those arguing in opposition using workers’ rights may have less ground to stand on here.